Cloud computing represents a new, flexible way for users to use infrastructure. In this model, users access to a pool of configurable computing resources to which they share with others. The users put these resources an hour and pay only for what they actually use. The provider manages the underlying server, storage, and other components so that users can focus on creative added value activities such as new applications or run existing applications. Transform your business with available on-demand, secure, reliable and flexible cloud services. 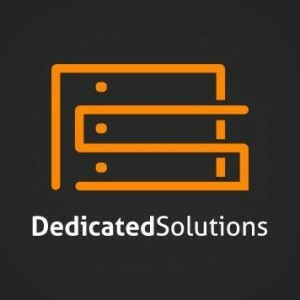 DedicatedSolutions provides cloud infrastructure services on demand, simplify the creation and scaling of applications. Moreover, these services are designed to meet the usual corporate requirements in terms of security, governance, and data ownership. The private cloud includes various computing, storage, and network services. Combined with our powerful management interface, the Control Portal, users can manage hundreds of servers quickly and seamlessly. DedicatedSolutions Cloud is a complete platform that allows you to manage your entire business application portfolio through private cloud infrastructure – from development to mission-critical workloads. A fully redundant multi-gigabit network connects all nodes and SANs provide fast and high-performance network, storage access and Internet access. An easy to use and easy to manage cloud infrastructure with controlled and predictable billing. Pre-configured templates CentOS, RedHat, Debian, Ubuntu, etc. and Microsoft Windows Server and Windows 10/8/7, installing servers, batteries and applications are as simple as one click! Built on a massively redundant architecture with no single point of failure. Snapshots and backups on demand ensure data integrity. All machines in the cloud live in secure virtual networks with firewalls that prevent vulnerabilities such as sniffing, spoofing or crosstalk. Implementation of virtual machines in minutes. Pay only for the resources you need. Increasing and decreasing resources demand for virtually unlimited resources. A control panel easy to use with full stats, permanent console, reboots, rebuilds and more affordable. Reinstall, retrieve, create an image or clone your machine at any time. When using hosting solutions in the DedicatedSolutions cloud, you are not limited to particular technologies. Unlike other cloud providers, DedicatedSolutions has the advantage of platforms like 3PAR, Cisco, EMC, HP, Xen, KVM, and VMware, etc. providing true virtualization. From Startups to SMEs to Enterprises, we offer different virtualization options including Private VPS Cloud, Private Cloud Starter, Private Cloud Pro, Private Cloud Enterprise and Dedicated Own Cloud. Our intuitive control panel management interface reduces the time required for the administration of cloud environments. Besides, our comprehensive API enables integration into existing IT systems. Use pre-configured cloud blueprints and templates to automate deployments and create your own customized templates for future replication. Patching, disaster recovery, and other activities are carried out within a short time through the Control Portal. Instead of selecting prearranged server variables, you have the option of CPU, storage and memory to combine arbitrarily and according to your requirements. Our team managed operating systems and a range of other applications for you, so you have more time for strategic activities. Flexible billing for cloud resources, invoicing once a month. Or you sign a long-term contract to benefit from greater savings. This entry was posted in Cloud Computing, DedicatedSolutions, Hosting Services, Private Cloud, Virtualization and tagged Cloud Hosting, DedicatedSolutions, IaaS, Managed Hosting, Managed Services, Private Cloud on March 15, 2016 by marketing. The IT function continues to question how to manage more demand for services among the increasing complexity, with limited resources and experience. The pressure on the IT continues while companies are faced with fixed budgets or increasing reduced and increase expectations of IT to create value and business innovation. For this reason, organizations IT cannot do it alone. They are seeking trusted IT services to help them reduce the cost, manage complexity, ensure desired levels of availability, maintain frontline techniques and incorporate technological innovation. The potential benefits of managed services are achieved only if a suitable supplier is chosen, who you can demonstrate the ability to provide knowledge, processes, and resources to overcome their internal capabilities. When evaluating providers of managed services, you can consider the following 10 criteria to make an informed decision. Any managed service provider should, at least, have the knowledge that goes beyond conventional management and operating system availability and maintenance. Check the level of knowledge related to management changes, virtualization, high availability, middleware and databases data, multiple network technologies, integration platform, mobility, security and, of course, cloud technologies. Ask about scalability and availability of staff to establish specialized techniques, how to organize and share information with the best-approved practices. Similarly, a managed service provider should have extensive experience in all delivery models, including not only managed services and cloud but also conventional and IT strategic outsourcing. Thus, the provider can help customers achieve a structured multi-strategy (internal, managed services, outsourcing, and cloud) to meet the individual needs of the company. Find out if the service provider has a precautionary approach to the problem and the improvement plan. Look for a provider that goes beyond the little monitoring and management of the device. For example, the provider can use sophisticated technologies such as advanced analysis to boost the prevention of incidents through patterns analysis of failure on all platforms and processes, providing visibility within the areas for the client and improvement of the service provider. The provider should employ the sophisticated technology of secondary system in all managed services offered. It can provide capabilities such as the complex mechanisms of alert, classification and prioritization of tasks, and scaling and repair incidents. Find out how much the service provider uses automation to reduce human intervention and improve quality and productivity. The key to a reliable IT infrastructure and high availability is to optimize IT management. A vendor service should employ industry best practices to manage their IT resources to adapt the management of IT services. They include problem management, incident cases, change, configuration, inventory, capacity and performance and creating reports. They are also critical areas to investigate best practices make the transition from an internal management system to the provider. Your provider services must be willing to share examples of policies and process documentation and explain how it played through multiple delivery centers. A service provider should have a knowledge management system that allows the personal access to historical information problems and solutions from anywhere. It is also important, the means by which the service provider provides visibility into the strength of its infrastructure and the operation of its managed services. Look for a secure web-based portal that consolidates related services within a single panel with real-time service visibility and online tools to manage services. Current infrastructures are traditionally heterogeneous environments comprising products network, hardware, and software provided by a variety of distributors. A service provider should have a minimum proven experience in multi-environments and especially collaborate with distributors leaders to ensure availability and updated visibility into product development routes and new technologies. A right service provider should play a professional trusted advisor role, helping you choose technologies that would best suit your business. Choose a managed services provider with a worldwide capacity that can help to position companies of all sizes to grow and expand in today’s global economy. Global delivery capabilities offer many advantages, including a rapid deployment in new locations, the ability to effectively manage client projects covering operations in many countries, local language support to subsidiaries or branches, and location of resources and data within the country to address legal requirements and regulatory requirements. Check if the service provider has standard delivery processes in all places and how they organize and communicate teams among them. 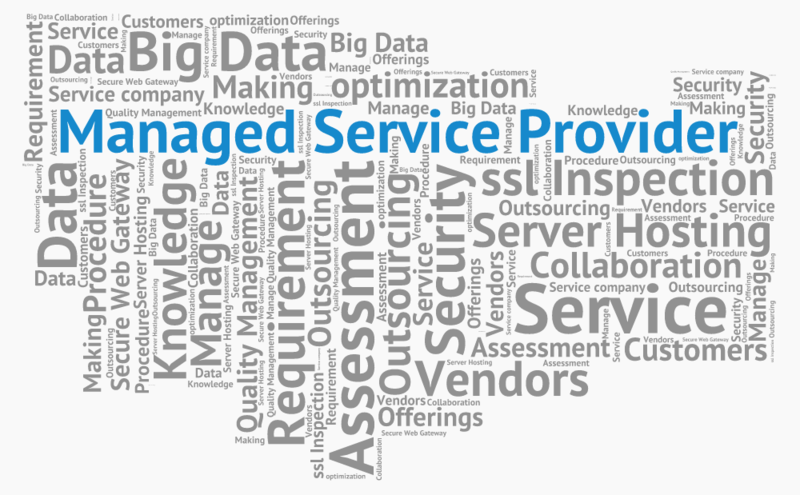 A significant advantage of the managed services is that the responsibility lies with the supplier performance services. Your priority should be on what the service provider provides more than how the service is provided, which allows the supplier to innovate, improve service delivery and reduce costs. In turn, the service provider should be willing to commit contractually to meet their needs regarding service and support these commitments to economic sanctions or other compensation if these service level agreements are not maintained. Since the needs of your business and IT are in continuous change, you need the flexibility to add managed services without unnecessarily increasing costs and complexity. Many organizations have realized that fragmentation services, using numerous managed services can be quite complicated and expensive. To ensure flexibility in the future, make sure any potential supplier offers a complete managed solution services, from infrastructure management to the managed security, resilience, mobility and other IT services for managed hosting and cloud. Moreover, look for a provider that offers you flexibility such as to enable it to retain its current equipment and even their current processes. With the increasingly frequent strategic partnerships, is essential to consider the impact that relations procurement can have, not only in the business results but also in the primary business model and corporate culture of the company. If innovation and transformation are essential elements in its strategy of activities, what can make a Managed Services supplier? Do they have the knowledge or exclusive experiences that bring clarity to the future technological or market changes? What competitive advantages could the provider bring? How it can help the experience, assets and coverage provider and network of partners to develop new business models or grow into new markets? Whether you are thinking short term as first steps into managed services or if you are looking long-term strategic relationship, prospecting of financial stability is with the provider is critical. It is worth to consider the experience; services offered, and opinions provided by analysts and specialized in IT and business press. 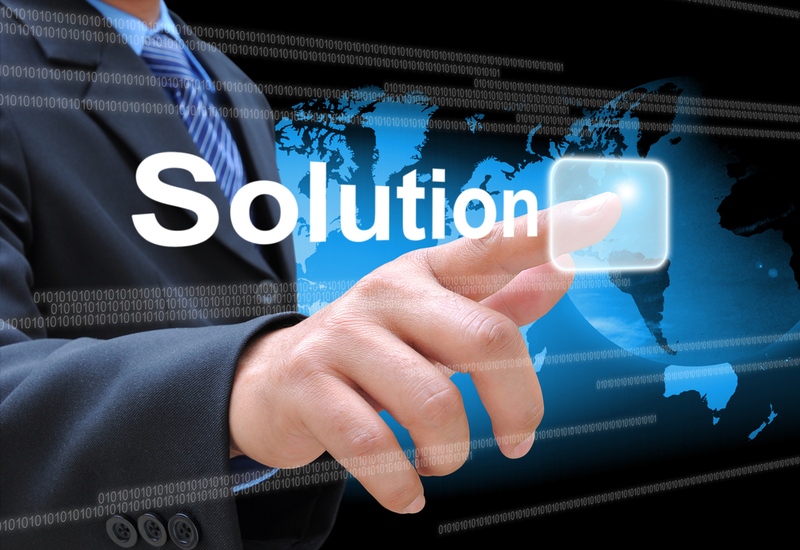 DedicatedSolutions goals are clearly defined as per the above top ten criteria. We want to deliver the best service to our customers while keeping the costs for our clients as little as possible. Through the combination of Tier III & Tier IV data center facilities, the ability to offer our customers multiple 10 Gig pipes at each location and only providing the best hardware possible, we can truly offer a 99.9% uptime – guaranteed. Our staff continually strives to serve you with the best possible support. All our facilities have 24×7 staffing – whether it be network technicians, system administrators or support members. Besides the uptime, we also guarantee and warrant you that you will have unlimited bandwidth with our unlimited solutions. This entry was posted in Cloud Computing, Colocation, DedicatedSolutions, Hosting Services, Managed Services and tagged cloud computing, Cloud Hosting, DedicatedSolutions, Managed Services on January 26, 2016 by marketing.